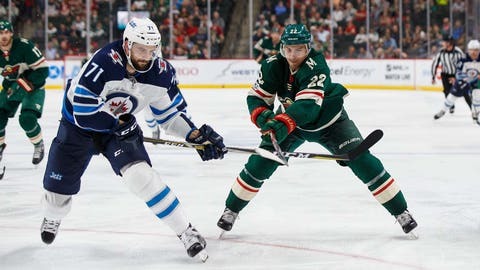 The Minnesota Wild activated the versatile winger Tuesday ahead of a Halloween matchup with the Winnipeg Jets. The 25-year-old has missed six games since suffering an ankle injury in a win over the Chicago Blackhawks. He has 11 shots on goal and a minus-1 rating in three games this season. Niederreiter scored a career-high 25 goals last season — his third straight 20-goal season — and signed a five-year, $26.2 million contract extension over the summer. The fifth overall pick in the 2010 draft, Niederreiter spent three years in the New York Islanders organization before being traded to the Wild in 2013.